Action Garage Door is the premier garage door repair service in Friendswood. We understand the importance of keeping your garage door running smoothly. When your door doesn’t work, it can interfere with your home life or business in a big way. We strive to provide quick and efficient garage door repair in the Friendswood area. For over 30 years, our trusted garage door specialists have been repairing garage doors in Friendswood, TX. During that time, Action Garage Door has established an exceptional reputation for quality work when and where you need it. If you need your garage door to be in the best working order, call Action Garage Door. We take garage door services a step further than the rest. In addition to providing outstanding repair services, we also put in the research to find the best materials on the market. This is to ensure all the parts we put into your garage will last and keep your garage in tip-top shape. We also have the ability to transform your home or business with a beautiful custom-built garage door. Take your home’s aesthetic value to another level by adding a classic wood door. Make your business more efficient with a sturdy steel door. 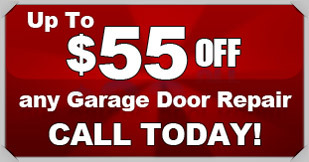 Action Garage Door has a knowledgeable staff that will work with you to create a stunning garage door at any budget. Luis had a very good knowledge of the repair that I needed. If I have to have any more work done on my door I will ask for Luis specifically to come out for the service. he was very professional, respectful of us old people. Price seemed high, but did no comparison shopping. Did a great job. My only problem is I had printed out a $75.00 coupon for the installation of a new belt driven door opener, and I forgot to give it to him. My bad! Outside of that, the service person got here quickly, did the job quickly, answered all my questions, and my door is working very well. My garage door would not come down. within an hour of my call I had a tech at my door. He was knowledgable, competent and agreeable. The work was done in his estimated time. Door Works!!!! Nathan gave us great customer service!!! Nathan was extremely knowledgeable, pleasant to deal with and solved our garage door operating unit problem.Should we have any problems in the future we would entrust Nathan to handle the issues.Thank You Nathan!!!! Good service, short and quick problem resolution. Problem taken care of promptly. Our experts have the skills and tools to solve any problems with your Friendswood garage door. Whether your door is off-track, has a loose cable, has developed a problem with a spring, or presents any other issues, we’ll complete all necessary repairs as fast as possible, with minimal disruption to your routine. We also provide maintenance services to make sure your door stays in top condition and protects your vehicle and other belongings all year. 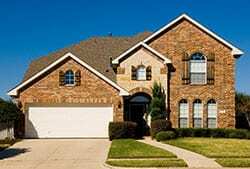 In addition to providing top-notch repair services, we can help you select and install a brand-new garage door for your Friendswood home or business. We carry models from the best manufacturers in the industry, including Amarr, Chi, Classica and others. When you choose Action Garage Door as your installation contractor, we’ll make sure end up with a new model that is not only tough and reliable but also complements your residential or commercial property perfectly. 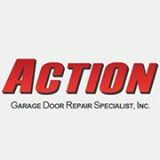 Whenever you need Friendswood garage door repair, maintenance or installation, look to the experts at Action Garage Door. We’ll work hard to surpass your expectations, just as we have done for thousands of others customers throughout the Houston region since 1984. Contact us online to take advantage of the best garage door services in the area.